Humanity has received Divine guidance through two channels: firstly, through the word of God as contained in revealed books; and secondly, through the Prophets who were chosen by Allah to communicate His will to human beings. The main scriptures revealed before the Quran, the Old Testament and the Gospel, were written down and then compiled as books long after they were revealed. On the contrary, the last revealed book, the Quran, is extant in its original form. 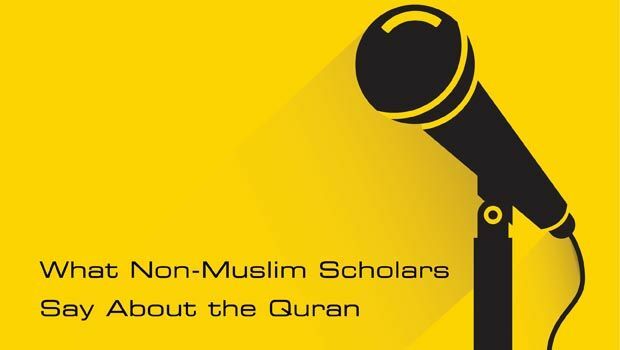 Many non-Muslim searchers of truth have recognized the Quran as unique and indescribably powerful even if they did not recognize its divine source. Allah Himself guaranteed its preservation, and the whole of the Quran was committed to written form during the lifetime of Prophet Muhammad (pbuh), recorded on parchment and other available materials. Moreover, there were tens of thousands of companions of the Prophet who memorized the whole Quran and the Prophet himself used to recite it to the angel, Gabriel, once a year and twice when he was about to die. The first khaliph, Abu Bakr, entrusted the Prophet’s scribe, Zaid Ibn Thabit, with collecting and compiling the entire Quran into one volume. This volume was with Abu Bakr till his death. It was then passed on to the second khaliph, Omar, and after him to Hafsa, the Prophet’s wife. It was from this original copy that the third khaliph, Uthman, prepared several other copies and sent them to different Muslim territories. The Quran, so meticulously preserved, is the guidance for humanity for all time to come. God says in the Quran, “O mankind! There has come to you exhortation from your Sustainer, and a healing for that which is in your hearts, and guidance and mercy for those who believe. Say: In the bounty of God and in His mercy, let them rejoice; it is better than all that they amass” (Quran 10:57-58). The practicability of the Quranic teachings is established by the example of Muhammad (pbuh) and devoted Muslims throughout the ages. The guidance of the Quran is aimed at the general welfare of humanity in this life and salvation in the life to come. It advises man according to his nature and human condition. Thus, it speaks to the corporeal reality of human life while providing instruction for the purification of the heart and upliftment of the soul. The Quran makes it clear that God is unlike anything in the created world, and that people must not anthropomorphize God nor in any way deify man. Everything is carefully placed where it belongs in the total scheme of creation, and man is, in addition, instructed to believe in al-ghayb (the unseen), the realms beyond the grasp of human perception. Some claim that Muhammad (pbuh) was the author of the Quran. Yet, up until the first revelation to him and the inception of his prophethood, he was known for his unassailable honesty and integrity. Could then this man, known to his peers as al-ameen, the trustworthy one, come forth with an egregious falsehood, claiming that God chose him as a prophet and messenger? Could this man who could neither read nor write produce a book matchless in literary merit and the equivalent of which the whole legion of the Arab poets and orators of highest caliber could not produce? And could a man-made system of guidance so inspire millions of people around the world and form the basis for untold numbers of men and women to attain noble character? Could it provide the foundation, during the time of the Prophet (pbuh) and his successors, for establishing the best human society on earth? “Here, therefore, its merits as a literary production should perhaps not be measured by some preconceived maxims of subjective and aesthetic taste, but by the effects which it produced in Muhammad’s contemporaries and fellow countrymen. If it spoke so powerfully and convincingly to the hearts of his hearers as to weld hitherto centrifugal and antagonistic elements into one compact and well-organized body, animated by ideas far beyond those which had until now ruled the Arabian mind, then its eloquence was perfect, simply because it created a civilized nation out of savage tribes, and shot a fresh woof into the old warp of history” — Dr. Steingass, quoted in T.P. Hughes’ “Dictionary of Islam,” p.528. “In making the present attempt to improve on the performance of my predecessors, and to produce something which might be accepted as echoing however faintly the sublime rhetoric of the Arabic Koran, I have been at pains to study the intricate and richly varied rhythms which – apart from the message itself – constitute the Koran’s undeniable claim to rank amongst the greatest literary masterpieces of mankind… This very characteristic feature – ‘that inimitable symphony,’ as the believing Pickthall described his Holy Book, ‘the very sounds of which move men to tears and ecstasy’ – has been almost totally ignored by previous translators; it is therefore not surprising that what they have wrought sounds dull and flat indeed in comparison with the splendidly decorated original” — Arthur J. Arberry, “The Koran Interpreted,” London: Oxford University Press, 1964, p. x. “However often we turn to it [the Qur’an] at first disgusting us each time afresh, it soon attracts, astounds, and in the end enforces our reverence… Its style, in accordance with its contents and aim is stern, grand, terrible – ever and anon truly sublime — Thus this book will go on exercising through all ages a most potent influence” — Goethe, quoted in T.P. Hughes’ “Dictionary of Islam,” p. 526. “The Koran admittedly occupies an important position among the great religious books of the world. Though the youngest of the epoch-making works belonging to this class of literature, it yields to hardly any in the wonderful effect which it has produced on large masses of men. It has created an all but new phase of human thought and a fresh type of character. It first transformed a number of heterogeneous desert tribes of the Arabian Peninsula into a nation of heroes, and then proceeded to create the vast politico-religious organizations of the Muhammadan world which are one of the great forces with which Europe and the East have to reckon today” — G. Margoliouth, Introduction to J.M. Rodwell’s, “The Koran,” New York: Everyman’s Library, 1977, p. vii. “A work, then, which calls forth so powerful and seemingly incompatible emotions even in the distant reader – distant as to time, and still more so as a mental development – a work which not only conquers the repugnance which he may begin its perusal, but changes this adverse feeling into astonishment and admiration, such a work must be a wonderful production of the human mind indeed and a problem of the highest interest to every thoughtful observer of the destinies of mankind” — Dr. Steingass, quoted in T.P. Hughes’ “Dictionary of Islam,” pp. 526-527.